5. Please backup before modifying. 6. 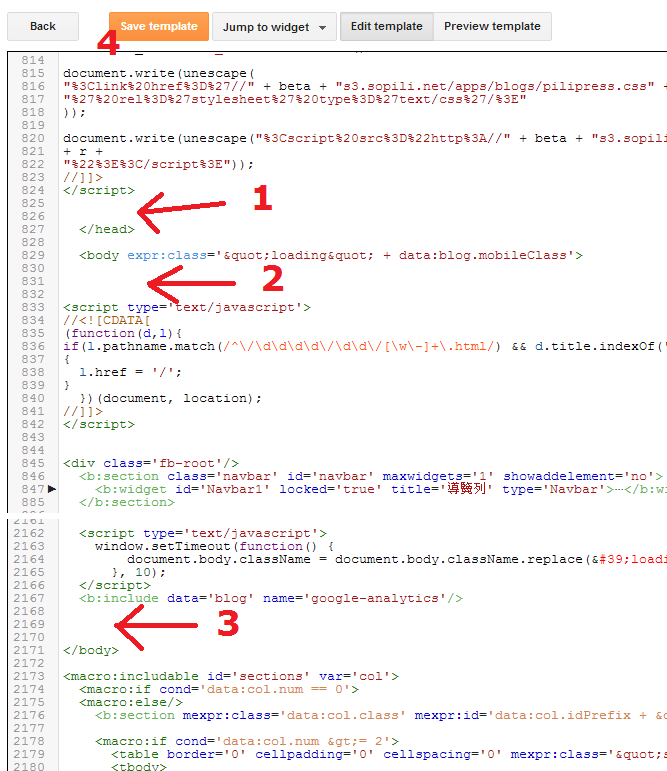 Paste the template code back to Blogger, and click 'Save Template'.